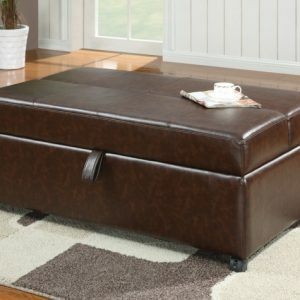 AS IN MANY HOMES, THE NEED FOR FUNCTIONAL STORAGE IS GREAT. 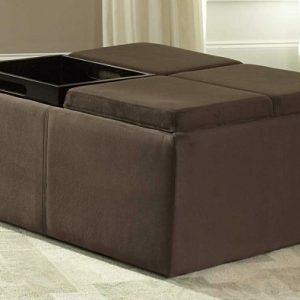 THE CLAIR COLLECTION OFFERS NOT ONLY THE FUNCTION OF STORAGE, BUT SEATING AS WELL. 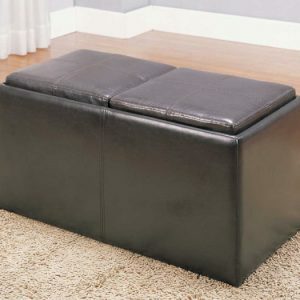 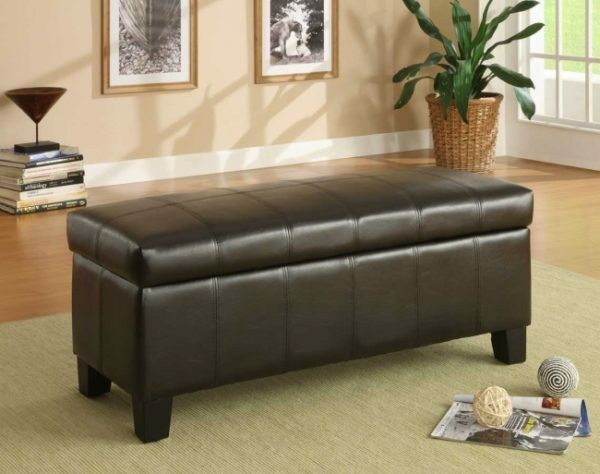 THE UNIT IS CONERED IN A DARK BROWN LEATHERETTE AND FEATURES BASEBALL STITCHING.